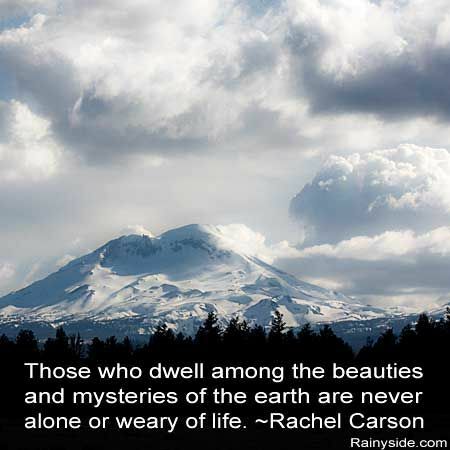 Rachel Carson said it grandly: Those who dwell among the beauties and mysteries of the earth are never alone or weary of life. East side of the Three Sisters volcanoes in the Cascade Mountains of Oregon. The clouds were glorious that day. All contents are copyrighted and belong to Debbie Teashon, unless otherwise noted. Simple theme. Powered by Blogger.